GANT is taking the next step in sportswear innovation. 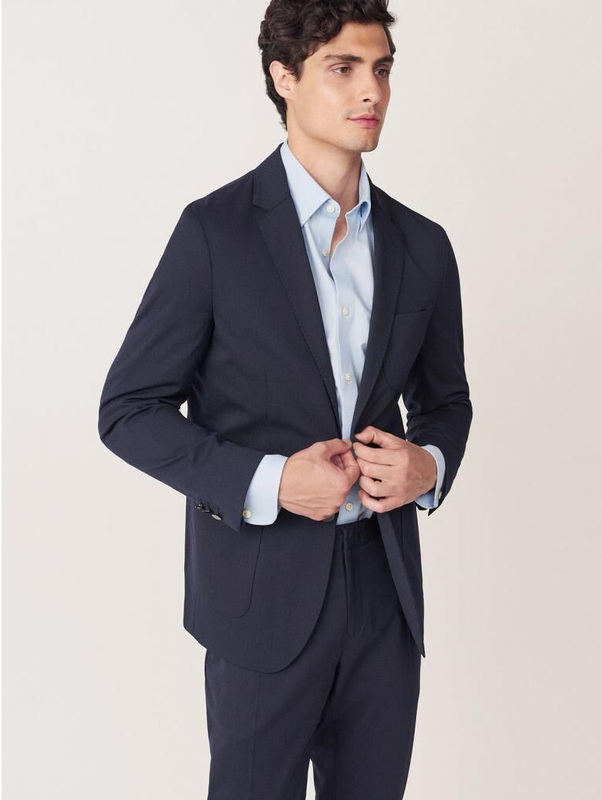 The American preppy lifestyle brand has introduced machine-washable tailoring that will save time in everyday life, as well as encouraging a sustainable way of living. The tailoring line includes casual blazers, GANT chinos and formal suits for both him and her. GANT created the machine-washable tailoring to simplify modern life. Time is always in short supply and busy days can make it a challenge to keep a suit looking flawless. Unlike traditional suits and blazers that require professional cleaning, this new range can be washed at home. By entirely rethinking, redeveloping and reimagining the materials and construction used, GANT has created a line that supports everything from the weekend party to the office all without the inconvenient opening hours at the dry cleaners. This entirely new approach to suit construction and component selection are the key elements that enable machine-washable tailoring. The wool blend fabrics, together with special interlinings and strategic stitch details, ensure that these simple pieces maintain their perfect fit and premium appearance after washing. To lower environmental footprint, GANT recommends machine washing on a low temperature, then simply hang-dry before being ready to use. By caring for the suit in this way, it will serve as a faithful companion for many adventures to come.